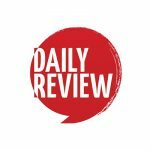 New Netflix viewing data shows how we stream TV | Daily Review: Film, stage and music reviews, interviews and more. 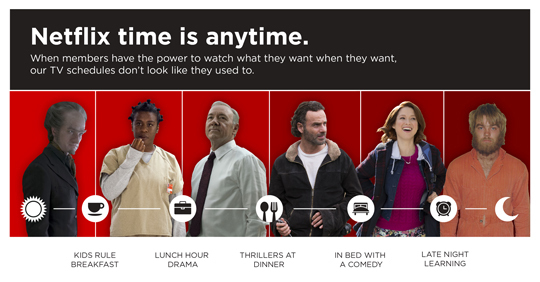 Although subscription streaming services have smashed traditional broadcast TV schedules, newly released viewing data from Netflix suggests we’ve formed our own kind of schedule. Netflix is famously cagey with its viewership figures — there’s no need to release ratings, after all — but has released a smidgen of information gathered from 77 million Netflix accounts over the course of six months. Australian kids are early risers, with cartoons and family content picking up substantially around 5am every morning, but Australia’s peak streaming time doesn’t hit until 9pm. That’s pretty average by international standards — India has the earliest peak streaming time of 5pm, while Argentina and Singapore have the latest peak streaming time of 10pm. You might think prestige drama is strictly for evenings, but around the world drama series such as Orange is the New Black and House of Cards account for almost half (47%) of the Netflix viewing between midday at 2pm. In the night, we’re switching to thrillers like Stranger Things — the genre sees a 27% increase around the globe come 9pm. But by 11pm, comedy viewing has picked back up. It seems viewers want to end the day with a laugh. Globally, 15% of streaming happens between midnight and 6am — in Japan and South Korea, that figure is as high as 21% — and documentaries are most popular at this time. Shows such as Abstract and Making a Murderer see a 24% increase in viewership during these hours. Do your viewing habits line up with the rest of Australia and the world? Let us know in the comments section below.